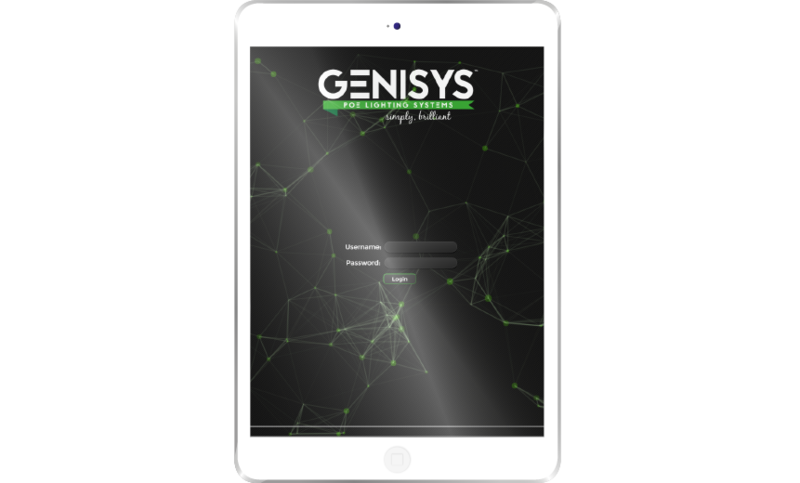 Simple and necessary feature which GENISYS provides in a solid and seamless format. 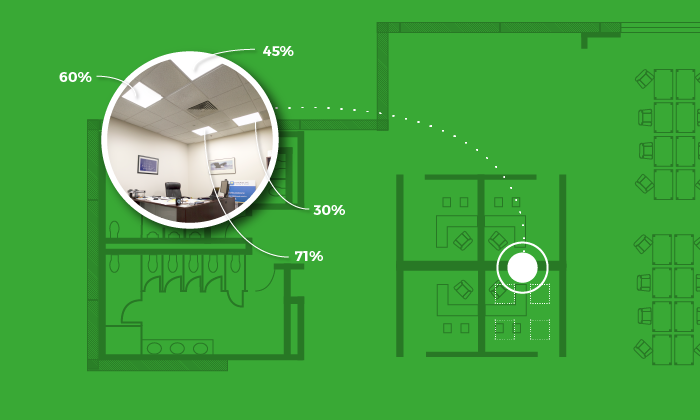 Sensors detect when your spaces are occupied or vacant and adjusts lighting based on user settings. GENISYS transforms areas and spaces in your building into Zones and assigns fixtures and control hardware. Ambient light is detected via sensors and lights are increased or dimmed to maintain optimal light levels. 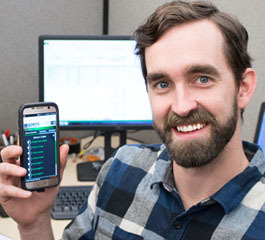 Create automated schedules to make energy savings easy. Set maximum and minimum light levels for users and spaces. GENISYS' Rhythm feature is the source of "Wow!" moments. 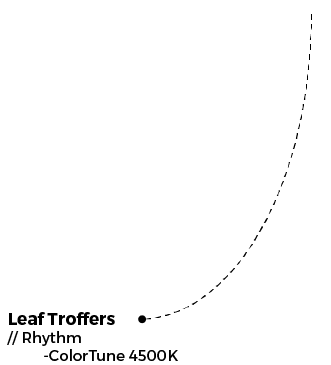 Leveraging our new Leaf troffer with ColorTune, Rhythm mimics the natural light cycle of the day. The day begins with a low color temperature, shifts to high midday, and glides back to low color temperatures as evening approaches. There are several studies highlighting the benefits of this kind of lighting, check out this page to learn more. GENISYS can use sensors to match real world light cycles or users can set their own Rhythm preferences. This is a must-see feature! 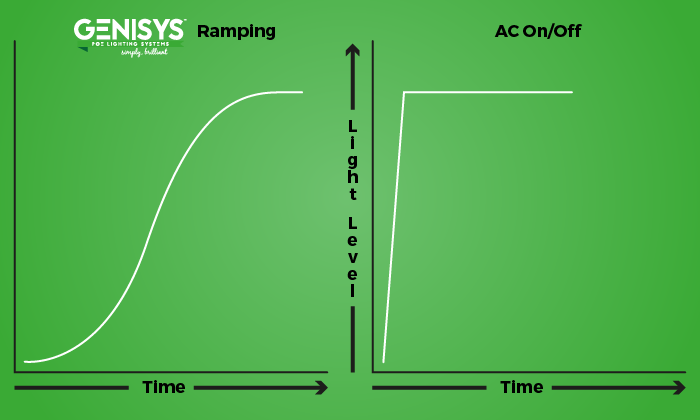 Lighting customization continues with ramping, which provides a more gentle "on/off" than traditional AC systems. When fixtures ramp on or ramp off, the gradual change reflects natural light cycles and simply provides a more comforting feeling than an immediate "on" or "off". If you are trying to cultivate a highly productive workplace environment, ramping provides another piece of the pie. Check out Ramping in action in the video below. ActiveLight takes energy savings to its most defined- at the level of the individual fixture. By prioritizing fixtures that are most actively used in a space, the less-used spaces can be dimmed slightly for increased energy savings. Keeping fixtures above your desk at 80% brightness, for instance, and dimming fixtures on the periphery of the room at 30% is ActiveLight in action. Users and guests of the space will not even realize the space has been optimized, ActiveLight provides yet another strategy to push your lighting energy savings beyond 90% over traditional lighting systems. Giving users control of their individual lighting will improve their workplace mood and performance, and GENISYS has made it easy. Users are, by default, only allowed to access their own zone and subzones, but administrators can always grant permissions to increase system availability. There is no substitute for experiencing a software's capability and function like seeing it live. Schedule a viewing to see GENISYS with one of our product experts, and we'll show you everything you can expect from our system. Contact us today to see the future of lighting. Putting the fun in function. 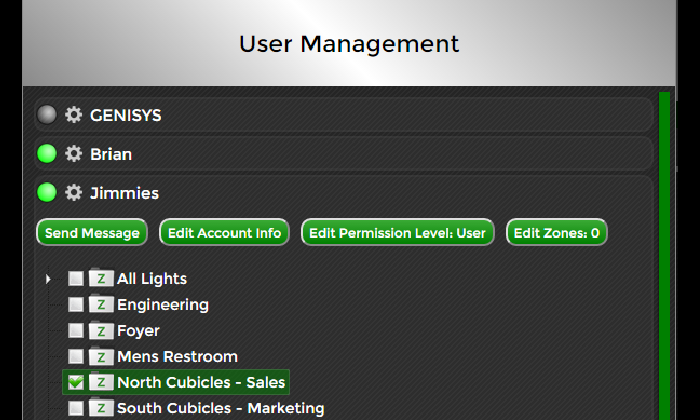 The GENISYS Lighting Control Software's main priority is to be functional. Executing your schedules, harvesting natural light, maximizing efficiency... that sort of thing. We also want GENISYS to be fun and intuitive to use, though, and we think you will enjoy our combination of fun and function built into our software. 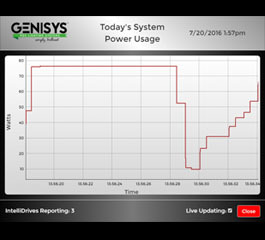 GENISYS keeps records of your power consumption and reports it in an easy to use set of graphs. Live usage data is available or you can view archives to make decisions about future lighting efficiency. 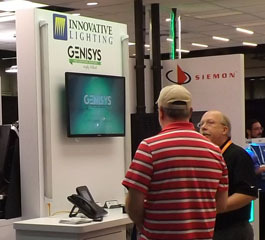 With GENISYS, the initial setup of your Lighting Control Software is fast, easy, and efficient. 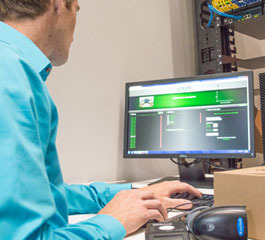 Since the location of GENISYS light fixtures and control components is set with software, commissioning is a critical step in a PoE lighting system. 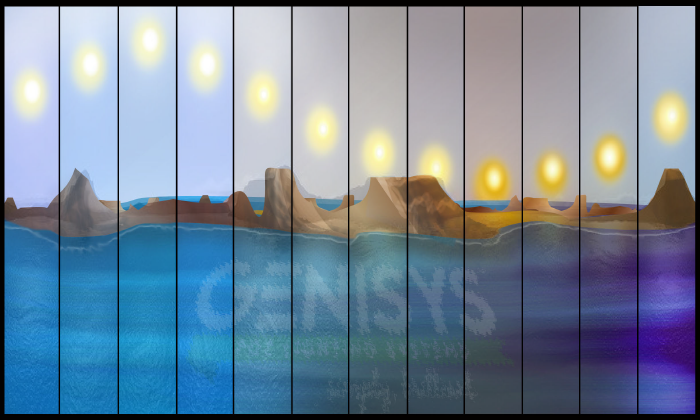 The GENISYS team's superior commissioning methodology recently commissioned an entire building in under 5 minutes. Overwhelmed? Already have a handle on PoE Lighting? Whatever side of the spectrum you're on, give us a call today and we'll clear up any lingering curiosity you may have about GENISYS.